I can't get enough white. Or cream, eggshell, mother of pearl? Whatever it is, I want it all! 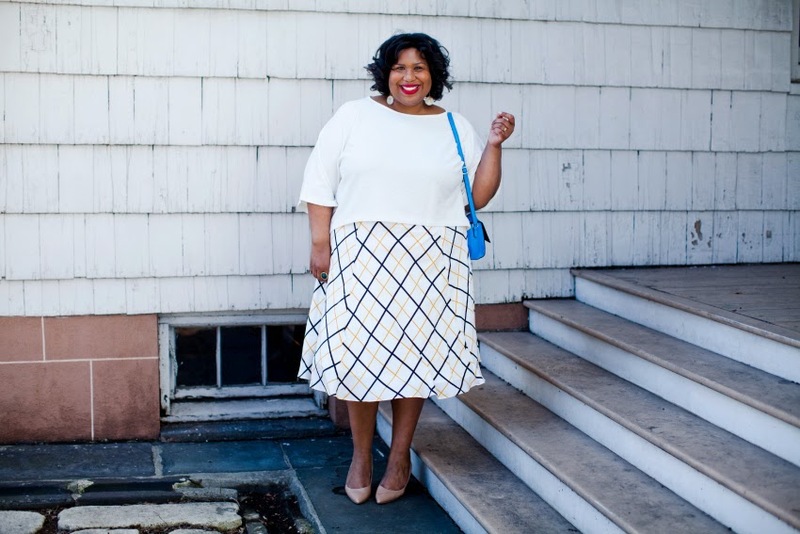 I also can't get enough midi skirts. It's quite possibly the most chic skirt length in all of human history. This skirt from ModCloth leaped off my Macbook screen and into my arms. It was love at first sight. I paired it with this amazing textured top from Simply Be. 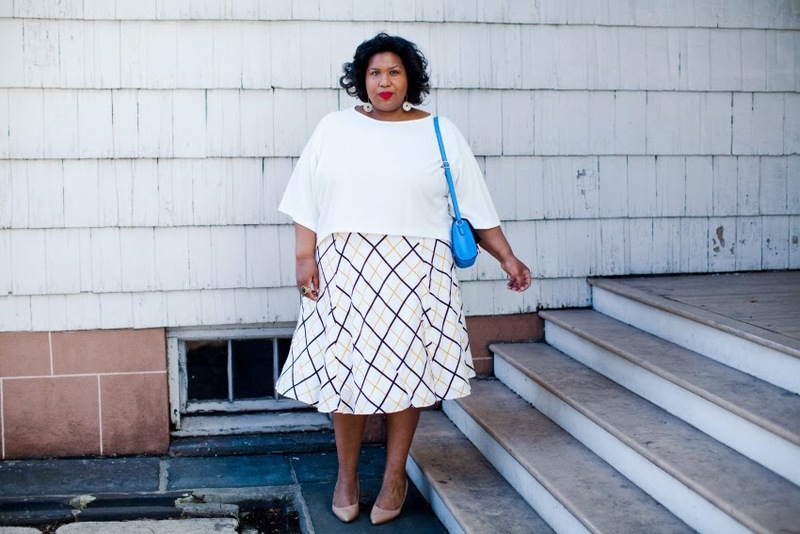 It's the perfect light weight, boxy top that is almost a crop top, almost. Because my life is full of surprises - Surprise meetings, events, lunch dates, appointments with editors, blah blah blah (mostly because I don't know where I'm supposed to be until the alarm on my phone goes off 30mins before hand)... I love outfits that can go anywhere without being overly dressy. Add to that, a quick shoe/bag change and I could be ready for a hot date with my love!